A wander through a residential area near the Salem Chapel. Rows of terraces, slightly dilapidated. Under a road bridge, then enticed to a footpath/cycleway heading vaguely in the direction back to work. 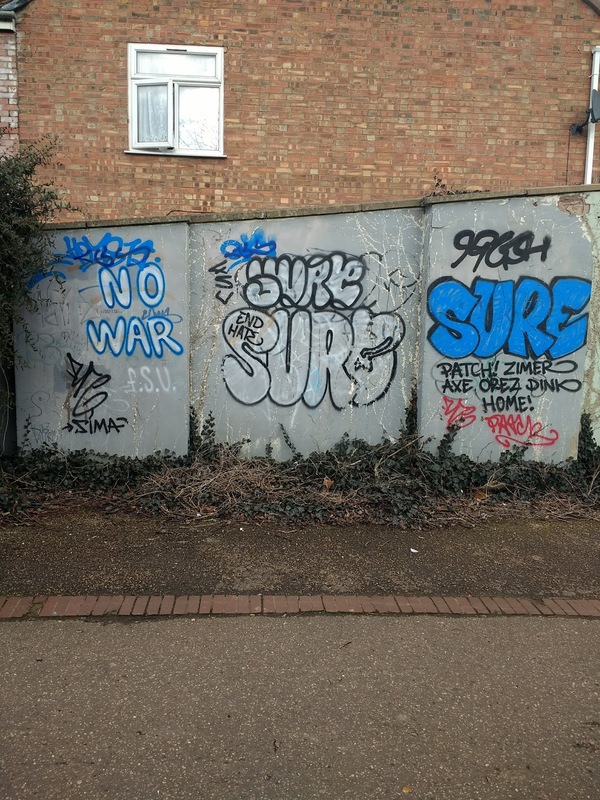 Graffiti: No war, end hate, Sure. A rhyming couplet of sorts. Who Patch, Zimmer, Axe, Orez and Dink are I will never know. Distracted by this, I didn't notice the ghost-skull face in the window at the time. Staring out in my direction like a demonic watcher.